Ships today if you order in the next 15 hours 27 minutes. While enzymes are naturally found in your body, if there is a lack fo them, it can be difficult to properly digest foods and absorb the nutrients in them. Foods contain enzymes, but processes like cooking and canning can deplete those enzymes, making supplements necessary for enzyme replacement. 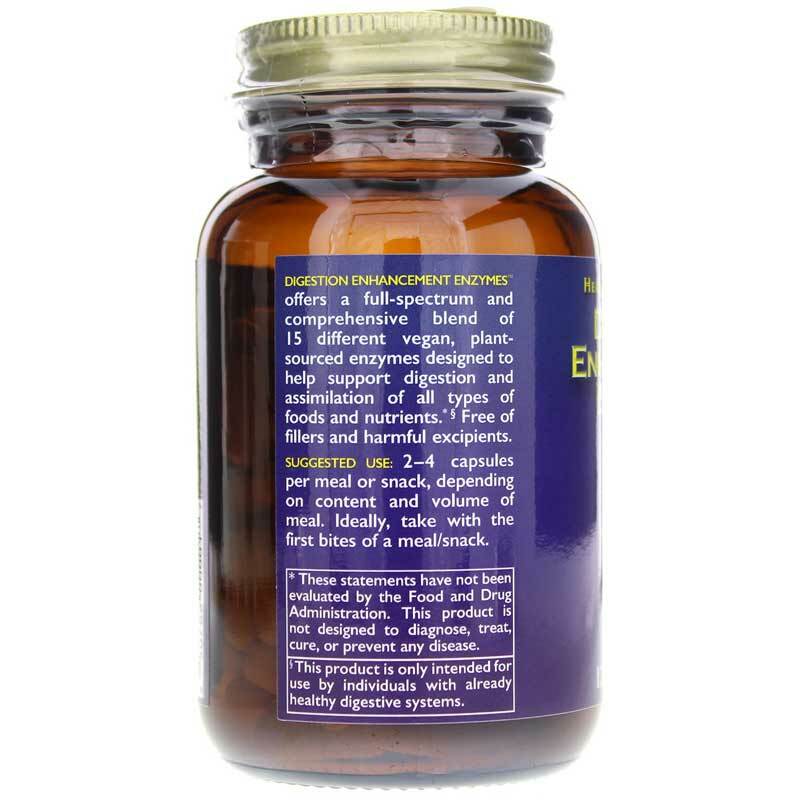 Digestive Enhancement Enzymes from HealthForce Nutritionals is a comprehensive and potent array of enzymes that promote optimal digestion, assimilation, and utilization of foods and nutrients. HealthForce Nutritionals Digestive Enhancement Enzymes may also help minimize any toxic and undigested food particles in your body. 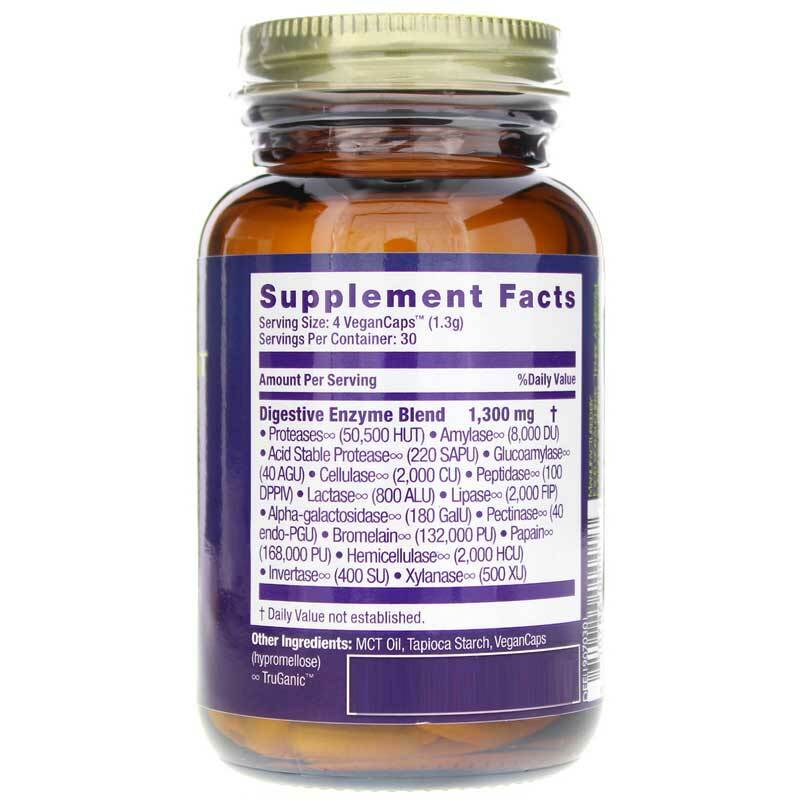 The enzymes in this supplement provides benefits throughout your entire digestive process, too. Make the choice to keep yourself at optimal health and wellness. Give Digestive Enhancement Enzymes from HealthForce Nutritionals a try today to improve your digestion and take another step toward a happier, healthier you. Other Ingredients: VeganCaps (non-GMO cellulose). Adults: 2 capsules (or more) per meal or snack, depending on content of meal. Ideally, take with the first bites of a meal/snack. Animal flesh/dairy/eggs and unsoaked nuts/seeds require 5. Tofu, grains, potatoes require 2-3. Cooked veggies require 1-2. The more cooked food (or unsoaked nuts/seeds) you eat, the more Digestion Enhancement Enzymes you need to take to replace the enzymes lost in cooking. Intensive usage may promote healthy circulation and free flowing blood. * If you are taking blood thinning medications, consult your doctor as you may need to adjust your intake. Keep out of the reach of children. HealthForce Nutritionals is one of the best, reliable out there. We use many of their products with excellent results. 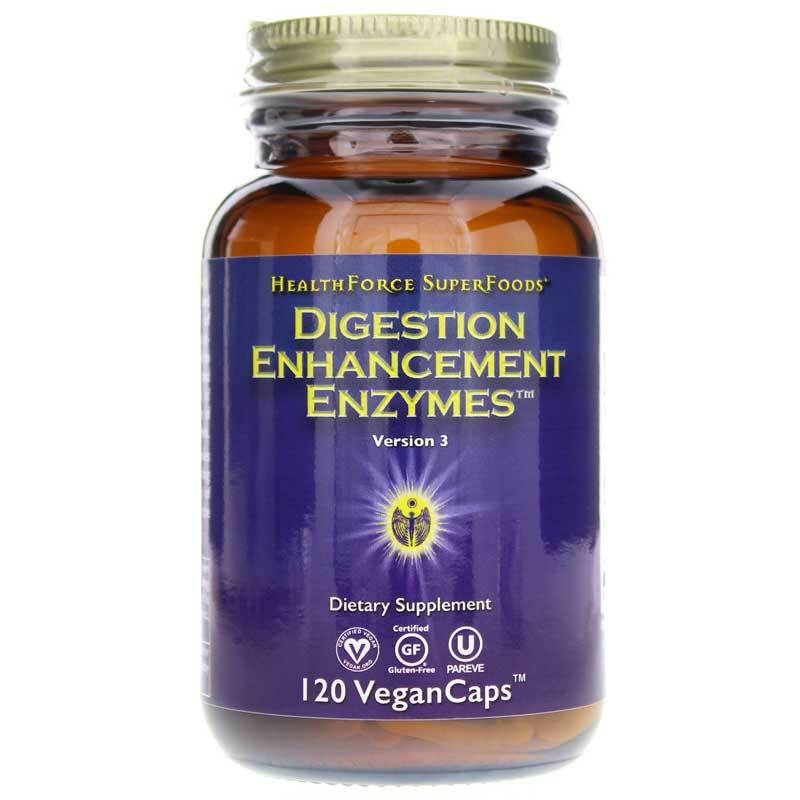 Digestion Enhancement Enzymes work as they should. Will keep this in the house.